At Wellness Retreat Recovery, alcohol and drug addiction therapy is a core part of the process of treatment for our clients. During a regular day of treatment programming, our clients complete many hours of different methods of therapy to address addiction issues from all different angles. Our therapy sessions are unique, diverse, and educational, allowing the client to explore their own experience with addiction and learn how to move forward in life without the influence of drugs and alcohol. Addiction therapy helps clients to process their emotions surrounding addiction and to identify and solve core, underlying issues that may contribute to their addictive behavior patterns.Through various kinds of group and individual therapy, the physical, mental, emotional, and spiritual health of clients are all addressed in order to prevent relapse and treat the root causes of the clients’ addictive behaviors. 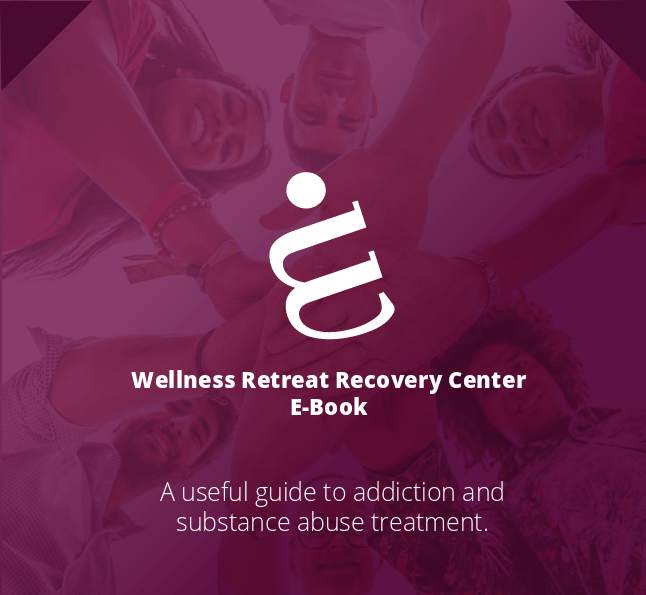 Through various evidence-based and holistic therapeutic methods, clients at Wellness Retreat Recovery are given all the tools necessary to build a solid foundation of long-term recovery from drug and alcohol addiction. At Wellness Retreat Recovery, we understand that no two patients are the same. We also emphasize the importance of treating clients holistically, addressing every aspect of their physical, mental, emotional, and spiritual health. For this reason, we offer a variety of evidence-based, innovative therapy methods throughout our clients’ stay at our facility in California. Individual Therapy: While enrolled at Wellness Retreat Recovery, patients will have ample one-on-one time with their primary therapists and counselors. We maintain a small caseload of patients at all times in order to guarantee that every patient has access to individual attention and treatment from our clinical staff. During individual therapy, our licensed therapists and certified counselors may employ a variety of methods to work with patients on their core issues. These methods may include cognitive behavioral therapy (CBT) in order to work with patients on developing new, healthy patterns of thinking, or dialectical behavioral therapy (DBT) to help clients form new behavioral patterns that replace self-destructive coping mechanisms to aid in their recovery. Individual therapy may also involve trauma processing for patients who need it, self-esteem work, experiential processing, and work on emotional expression. Clients are guaranteed individual therapy sessions regularly throughout their inpatient stay at Wellness Retreat Recovery. Group Therapy: When many clients enter treatment, they have suffered isolation and loneliness as the result of their addiction or alcoholism. Active addiction strains and even breaks social relationships with romantic partners, family members, and friends, and many patients enter treatment lacking in social support and social functioning skills. The group therapy process allows patients to form connections with peers and build relationships in a safe, supportive, therapist-facilitated environment. The benefits of group therapy are well-documented. Clients who engage in the group process will have the opportunity to build social skills, form accountability, set boundaries, relate to the emotional experiences of others, and offer and receive constructive feedback from peers. This helps to build self-esteem, communication skills, empathy, and commitment to recovery. During clients’ stay at Wellness Retreat Recovery, dynamic group therapy sessions will aid in building a foundation of long-term sobriety. Family Therapy: Unfortunately, addiction and alcoholism are family diseases. When a loved one is dependent upon drugs or alcohol in their daily lives, it strains family relationships and forces family members to adopt unhealthy patterns of coping with active addiction. Many family members feel a sense of fear and anxiety over their loved one’s drinking or drug use, and they often need support in processing their experiences. Family therapy offers a chance for addicts and alcoholics and their family members to communicate honestly and openly in a safe environment, with a therapist available to mediate and guide the session. Through family therapy, clients and their loved ones have an opportunity to express their emotions, learn to communicate effectively and assertively, set healthy boundaries, and support each other in recovery. Family therapy is a key aspect to supporting long-term recovery for our clients and ensuring that the family is able to adjust in a healthy way to a new relationship dynamic. In addition to therapy, we offer various classes and holistic programs to give our clients a well-rounded approach to recovery. With the right tools in place, anyone can overcome addiction or alcoholism. At Wellness Retreat Recovery, we recognize that each client has a personal story and their own set of life circumstances to overcome. Intensive therapy helps to address all of those issues and come up with resolutions to eliminate the threat of relapse and promote long-term, fulfilling recovery for each of our clients. When a client enters treatment at Wellness Retreat Recovery, they are guaranteed access to the most effective, comprehensive program of addiction therapy with our experienced, compassionate staff.